Heartbreaking. Thoughtful. Mind-boggling. Hilarious. How do you turn a four-month period that includes an excruciating, life-threatening illness, the sudden death of your mother, a breakup, and a diagnosis of bilateral breast cancer into something that anyone would want to read? Not just want to, but love to? If you’re Tig Notaro (and maybe only if you’re Tig Notaro) you make it as laugh-out-loud funny as it is deeply moving and terrifying. Notaro has the instincts and timing of the accomplished writer and comedian she is, but her warmth, self-awareness, and open-hearted vulnerability are what seal the deal. Don’t miss this extraordinary debut. In the span of four months in 2012, Tig Notaro was hospitalized for a debilitating intestinal disease called C. diff, her mother unexpectedly died, she went through a breakup, and then she was diagnosed with bilateral breast cancer. Hit with this devastating barrage, Tig took her grief onstage. Days after receiving her cancer diagnosis, she broke new comedic ground, opening an unvarnished set with the words: “Good evening. Hello. I have cancer. How are you? Hi, how are you? Is everybody having a good time? I have cancer.” The set went viral instantly and was ultimately released as Tig’s sophomore album, Live, which sold one hundred thousand units in just six weeks and was later nominated for a Grammy. 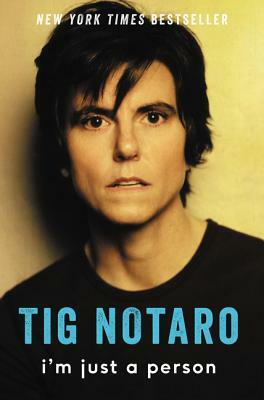 Tig Notaro is an American stand-up comic, writer, actor, and radio contributor. She writes, produces, and stars in the semiautobiographical series One Mississippi for Amazon Studios, where she can also be seen in her recurring role on the critically acclaimed series Transparent. In 2015, her HBO stand-up special premiered along with Tig, the Netflix Original Documentary about her life. Tig remains a favorite on Conan and This American Life, tours internationally, and enjoys bird-watching with her wife, Stephanie, and kitten, Fluff, at their home in Los Angeles.